Yes, I am one of those few guys who actually believe that hard boiled eggs are not as easy to achieve as one would think. Most people (including the current wife) swear that such egg is a matter of boiling a raw egg for...who cares...15, 20, 30 minutes. 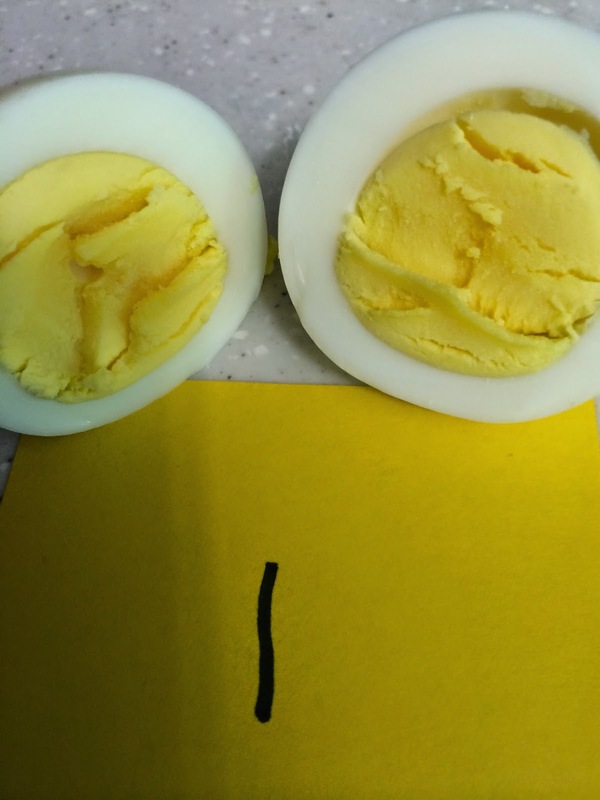 At the end a hard boiled egg is just that: a hard boiled egg. I am not part of that group of misguided people. 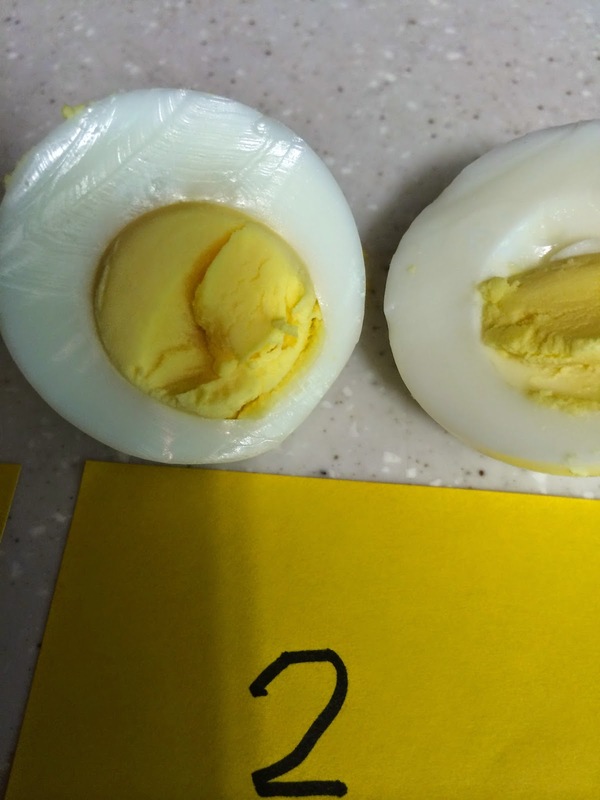 A hard boiled egg can be underdone or overdone. 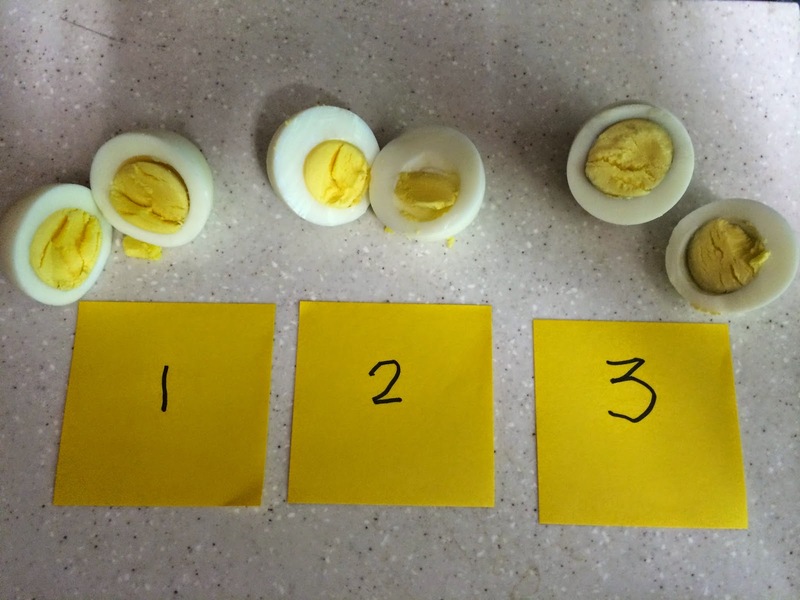 Can be soggy or can be dry...that means that there is a science to achieve the perfect hard boiled egg. I have been trying to make my point with the wife but she just doesn't get it... if someone else makes it for her, then is a perfect egg. Ouch! First: same size and all ROOM temperature (that is important because the temperature exchange has to be the same). I numbered them. 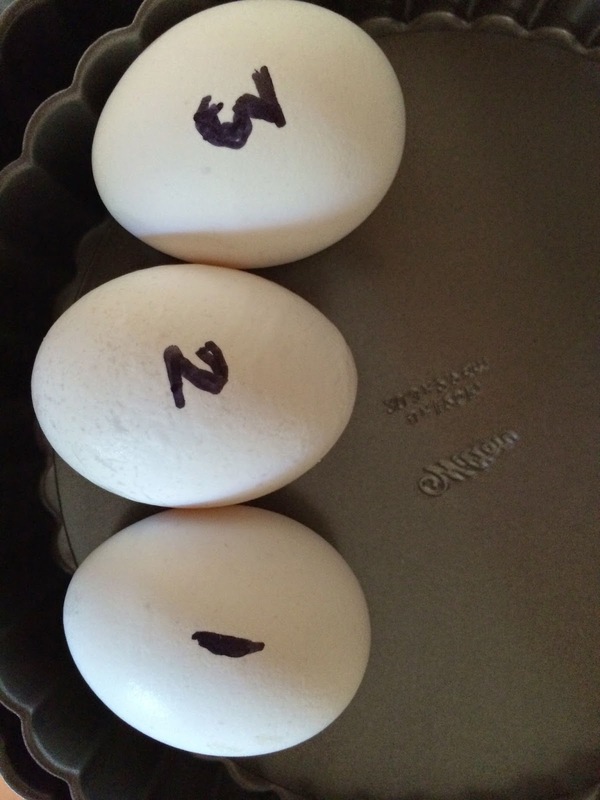 Second: I boiled them at different times: I removed egg number 1 at 11 minutes and right away I put it in ice water to stop the cooking process. 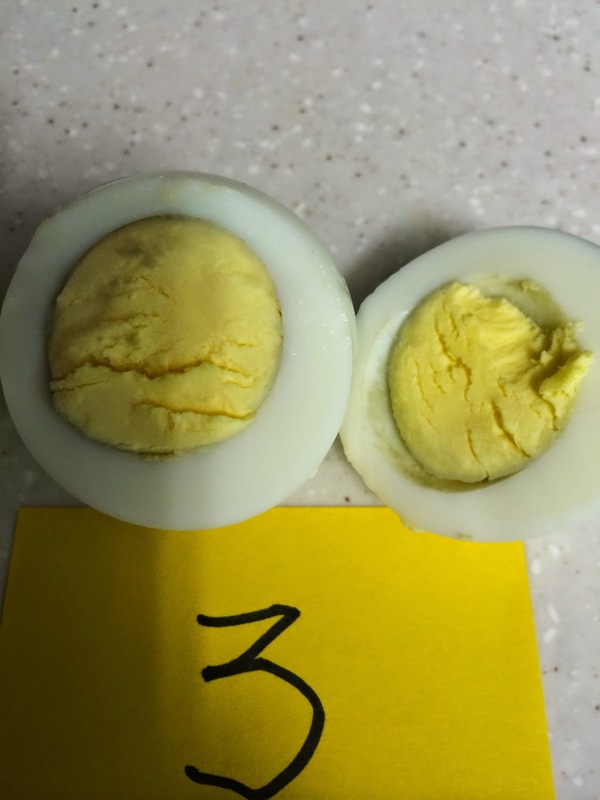 I left egg number 2 for 13 minutes and cooled the same way I did with the first one...and egg number 3 was in boiling water for 15 minutes, cooling it down the same way. Egg number 2 (13 minutes) was in its prime. The perfect consistency: not soggy nor dry. When you use it you will achieve a better result when doing, for example, a potato salad. A perfect potato salad, a perfect pascualina is always welcome. Now...if you couldn't care less...then at least admit that there is a difference. Try it. Once you note the difference you will not come back to the dark side. Promise.